When you think about consuming cannabis, magic mushrooms, acid or peyote, what springs to mind? Probably crazy visuals, couch-locking highs and journeys into the unknown. These days another way of approaching these substances is gaining in popularity. It’s called microdosing, and involves taking these drugs in a much smaller quantities than what you’d take for getting high or a full-blown trip. With microdosing, you won’t trip out, have crazy visuals or get high, things may be a little different. You might find your work goes better, important conversations go more smoothly, and your artistic practice feeling more expansive. Microdosing can “elevate” you to a micro-level above your normal self, and may improve your life on many levels. Research shows that people who microdose report improved creativity, enhanced emotional well-being, and improved day-to-day functionality. Microdosing is the practice of taking psychedelics at doses far less than what would be required for a trip or high, in order to experience lighter effects with more targeted benefits. Instead of taking 100μg of acid, you might take 10μg. Instead of taking three grams of shrooms, you might take 0.2 grams. Instead of smoking 20mg of THC, take a light 2mg puff. And instead of taking 400mg of mescaline, you might take 50mg. With microdosing, the aim is for the experience to be sub-perceptual—you shouldn’t feel like you’ve taken a psychedelic. This allows you to experience many of the benefits, while still being able to go about your daily life in a functional way. Microdoses can act as safe and effective “performance-enhancers” in many domains, from studying to athletics to skill in navigating emotional situations to spiritual activation. Microdosing has been shown to be an effective treatment for depression, to enhance creativity, to improve energy levels and focus, and even to aid in quitting smoking. This could be because, as one study demonstrated, microdosing with magic mushrooms promotes the growth of new neurons in the hippocampus. Hippocampal neurogenesis has been associated with improvements in energy levels, mood, ability to concentrate, and cognition. Another study showed that mushrooms can make parts of the brain that are usually disconnected “talk” to each other. This could be associated with increases in creativity. No one knows when humans started doing psychedelics. Archaeological research shows that human cultural and technological complexity took a massive and rapid leap forward about 70,000 years ago. 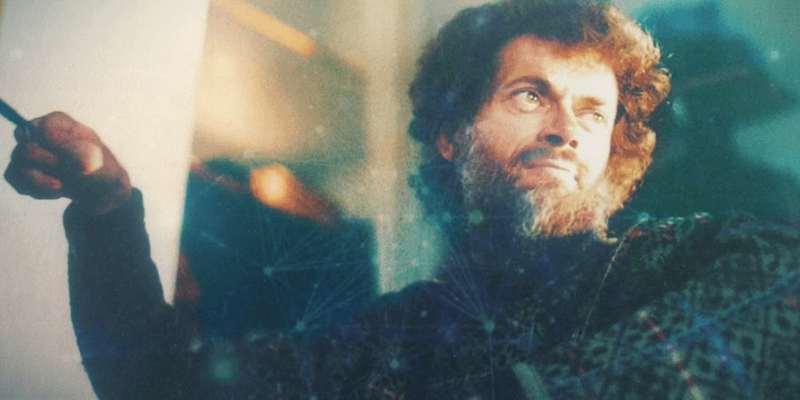 Terence McKenna hypothesised that this “cognitive revolution” may have taken place as a result of early humans stumbling across psilocybin. Were they microdosing? We can only speculate. In the 19th century, Western science took notice of psychedelics. The “first wave of psychedelic research”, from 1880 to 1950, was focussed on mescaline. The true birth of microdosing wouldn’t occur until the second wave of psychedelic research, which hit its stride in the 1960s. This wave was focussed on psilocybin and LSD. Hofmann was the first to propose microdosing. He suggested that doing so with LSD could have beneficial physical and mental effects. He claimed it was an under-researched area. Hofmann himself microdosed into his old age, taking long walks through the woods on low doses of acid. He must have been doing something right, as he lived to 102. With Hofmann’s discovery, psychedelics were once again in the spotlight. During the 1960s, they featured on both sides of the culture war, with the CIA carrying out their controversial MK Ultra experiments, and youth across America conducting their own, less official experiments into these drugs and their effects. The ‘60s also included non-sinister scientific research on psychedelics: James Fadiman led the charge, publishing a study in 1966 on the effects of psychedelics and creativity (discussed in detail below). With the 1971 UN Convention on Psychotropic Substances, LSD and psilocybin were criminalised around the world. As the hippie culture of the 1960s receded into the past, psychedelics declined in popularity, and research into their effects declined as well. However, with the 21st century and the rise of the millennial generation, psychedelics are experiencing a renaissance. We have now entered the third wave of psychedelic research. Today, psychedelics have emerged from the shadows in a new guise: instead of being used to “tune in, turn on, drop out”, many millenials and Gen Xers are using the drug to enhance their careers. Programmers, startup entrepreneurs, and executives alike have started microdosing psychedelics to enhance their creativity, boost their energy, and gain a competitive edge. Over the past few years, interest in microdosing has expanded. Several books and researches, as we’ll see in the following section, have sparked the public’s attention. Hofmann was right: microdosing is indeed an under-researched area. That being said, recent years have brought exciting new developments. Before we dive in, it’ll be useful to look back at relevant psychedelic research of the past. James Fadiman, lead researcher of the microdosing world, was involved in a key psychedelics experiment in the 1960s: the psychedelic agents in creative problem-solving experiment. Professionals working on difficult problems were given a small dose (a “millidose”—somewhere between a microdose and a regular dose) of LSD or mescaline, and were then asked to focus on a hard professional problem. As a result of the study, participants produced a new design for a linear electron accelerator beam-steering device, a new form of the magnetic tape recorder, novel furniture designs, and many other breakthrough products. Participants in the study reported lowered inhibition and anxiety, increased capacity to restructure problems in a larger context, and improved ability to associate concepts across domains. They also reported increased flexibility of ideation, heightened ability for visual ideation, easier accessibility of subconscious information, heightened empathy, heightened ability to obtain closure, and greater ability to visualise their solution. Experiments like this demonstrate that psychedelics really can improve professional performance. Studies like this show psychedelic breakthroughs are no false grace; they’re useful, sometimes brilliant discoveries. Psychedelics seem to genuinely improve practical abilities. In recent years, Fadiman’s interest has narrowed in on microdosing. Since 2010, he’s collected hundreds of reports from microdosers around the world. The response has been overwhelmingly positive; people reported better quality of sleep, less anxiety, better workflow, more motivation for exercise, and even reduced menstrual cramps. One 2018 study in the Netherlands attempted to measure the effects of microdosing psilocybin on intelligence. They found that while fluid intelligence remained unaffected, convergent and divergent problem-solving abilities improved. Another 2018 study, this one pre-registered and conducted at the University of Toronto, found that current and former microdosers score higher on measures of creativity, wisdom, and open-mindedness, and lower on measures of negative emotionality and dysfunctional attitudes. Given the study design, it’s impossible to tell which way the causality runs—whether microdosing makes people wiser, or wiser people are more likely to microdose. Another study from earlier that year showed similar results. Fadiman suggests that this cycle takes place over a period of ten weeks, with the subject observing their experience, taking notes and following their normal daily routine while doing so. Interesting changes to look out for are any modification in behaviour, outlook, emotions and energy levels. Obviously, if any negative effects are experienced that make a person feel uncomfortable, they may choose to cease their intake of microdoses. There are variations on this. Some people prefer to microdose every fourth day or less. Some people microdose sporadically, when the mood strikes them. Microdosing every day tends not to work, for two reasons: one, the body builds up a tolerance to psychedelics quickly, and so microdosing daily will bring diminishing returns. 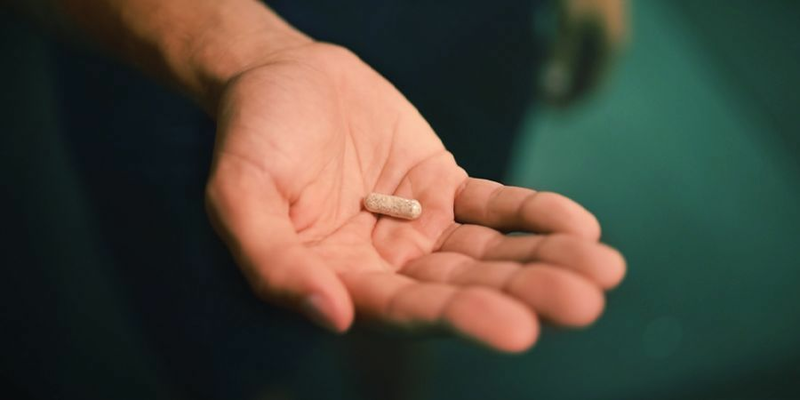 Two, microdosing daily can take a toll on the mind and tip the balance towards negative symptoms like anxiety, lethargy, and dark emotionality. A similar argument applies to microdosing every other day, though this schedule does have its proponents. Most psychedelics are non-lethal to humans and carry few physical side effects, even at high doses. However, normal doses of these drugs can in some cases cause psychological distress, disturbance, anxiety, and other symptoms. These risks are reduced at a microdose dosage. Out of all the reports collected by Fadiman, only five respondents reported adverse mental effects. All in all, microdosing is far safer and healthier than going to the bar and having a drink. Psychedelic drugs are still illegal in most European countries. One exception is Portugal, where all drugs have been decriminalised. There, you can microdose to your heart’s content, risking only a misdemeanor. As of 2018, microdosing is still by and large a renegade activity. In some cases, the legality of your microdose depends on your drug of choice. In many European countries, possession of small amounts of weed has been decriminalised; that is, reduced from a criminal offence to a misdemeanor. These countries include the Netherlands, Belgium, Spain, Italy, Switzerland, Croatia, and the Czech Republic. HOW TO MICRODOSE MAGIC MUSHROOMS? Magic mushrooms, or shrooms, are one of the most popular substances to microdose. They’re safe, all-natural, and tend to produce pleasant as well as productive effects. Psilocybin, the active ingredient in shrooms, works by activating the brain’s 5-HT2A serotonin receptors. These receptors are located throughout the brain, and are especially dense in the cerebral cortex, mainly the prefrontal, parietal, and somatosensory lobes. The molecules of psilocybin and other tryptamine psychedelics are similar in shape to serotonin. This similarity allows them to bind directly with serotonin receptors (unlike SSRIs and amphetamines, which work to make serotonin itself more plentiful in the brain). Shrooms also contain psilocin and baeocystin, secondary tryptamines which produce similar effects to psilocybin. Activation of the 5-HT2A causes a cascade of effects in the brain. For one, it seems to cause the brain’s cells to produce more brain-derived neurotrophic factor, or BDNF, which causes brain cells to grow and make connections more easily. It also causes the brain to release more glutamate, which in turn causes many downstream effects. One of these is to release dopamine into the prefrontal cortex, which can help with focus. Overall, psilocybin causes the brain to become more awake. Under an fMRI, the cortex lights up like a lightbulb, and there seems to be more global activity happening over its surface. At the same time, the normal activity of the brain is disrupted, with the Default Mode Network—the part of the brain more active during normal waking life—less active than usual. Parts of the brain that usually never communicate “talk” to each other, showing that the brain is stretching and experimenting beyond its normal habits. With microdosing, these effects are tempered, but still very much present. 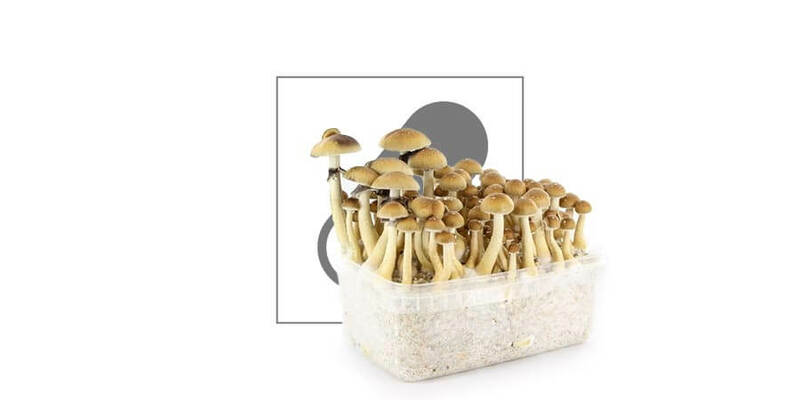 Psilocybin microdosers tend to find that they have more energy, an easier time connecting their thoughts to their emotions, and are more prone to seeing patterns and experiencing “leaps” of insight. Many users report being more motivated to work out, dive into creative projects, and tackle hard problems. Those who find LSD microdoses overstimulating may find mushrooms take the edge off by comparison. Magic mushrooms have also been shown to reduce the symptoms of depression and anxiety. Microdosing with mushrooms tends to last 4–6 hours, considerably shorter than the length of an acid microdose. 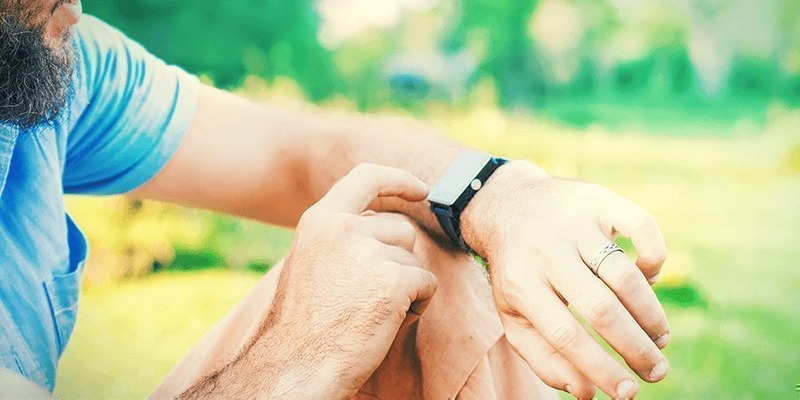 This shorter experience can allow you more control over timing, and in particular, can help you time your dose such that it won’t interfere with your sleep. HOW TO CONSUME PSILOCYBIN MICRODOSES? 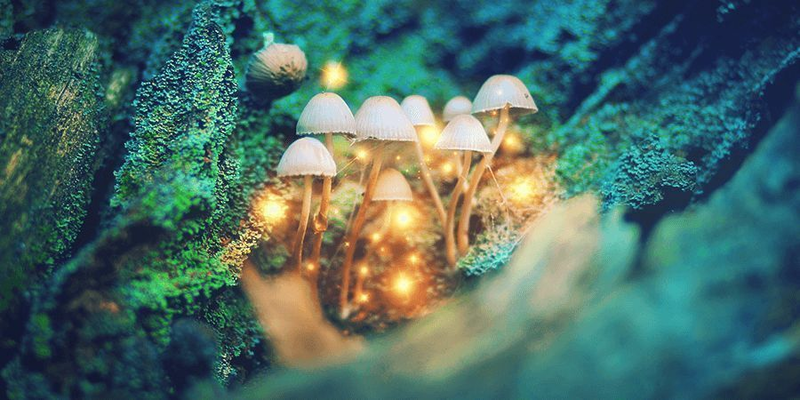 If anybody out there decides that microdosing is something they may benefit from and want to try, the obvious next step in the procedure is sourcing some mushrooms to use throughout the process. With psilocybin mushrooms being classified as illegal substances in many places in the world, this may prove to be quite problematic. Perhaps the easiest way to obtain mushrooms, without having to set up some dodgy back alley deal, is to simply to grow them yourself. The most common way to take magic mushrooms is simply to eat them. You could nibble down a small stem and cap every three days for an easy—if rough—microdosing schedule. 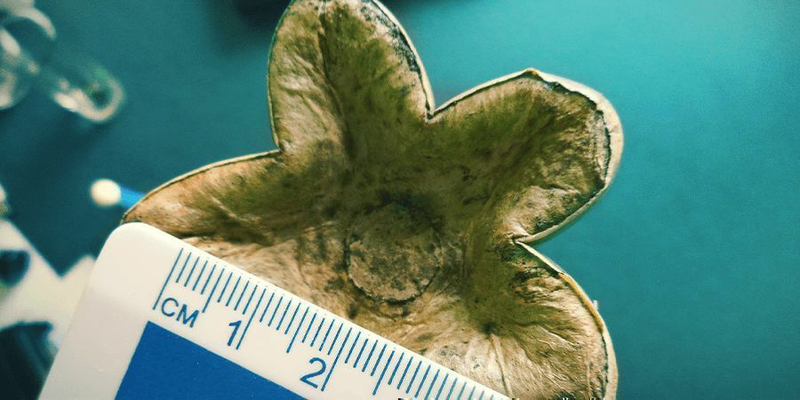 If you’re going about things this way, keep in mind that the cap tends to contain a greater concentration of psilocybin than the stem (0.44–1.35% of dry weight and 0.05–1.27%, respectively). 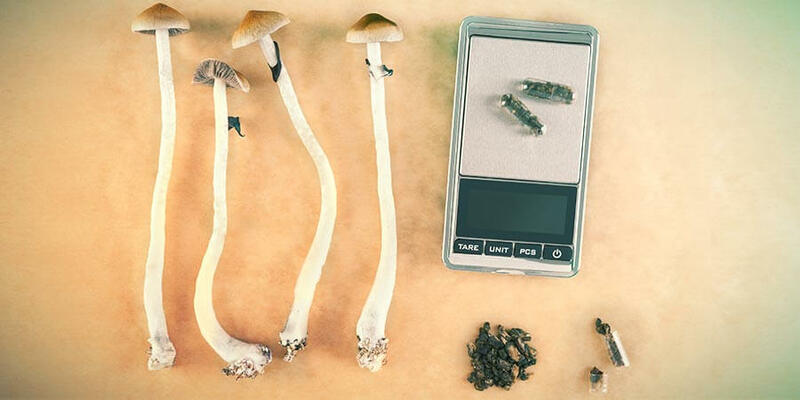 If you’d prefer more precision, you can measure out your mushroom microdose with a scale and make capsules. Microdoses usually consist of 0.2—0.5 grams of the dried fungus (which translates to 0.74mg to 6.5mg of pure psilocybin). 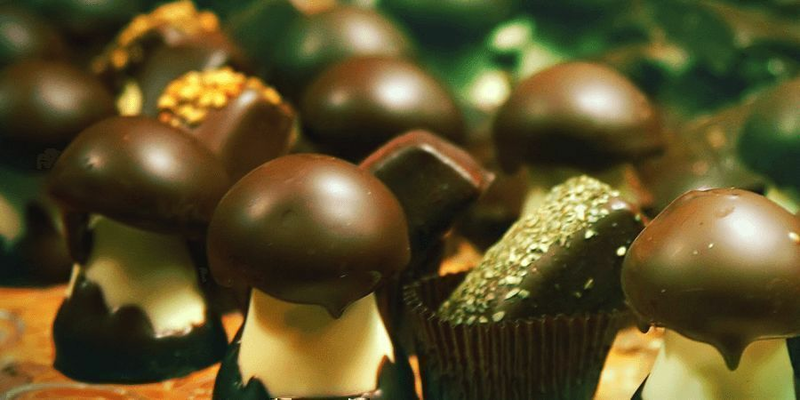 If you’re someone who tends to get stomach pain from mushrooms, you may want to try making mushroom chocolates, as many users report this eliminates the side effect. Magic mushroom tea is also a possibility. If you decide to use one of these recipes, make sure you measure how much you use so that you can accurately estimate your dosage. 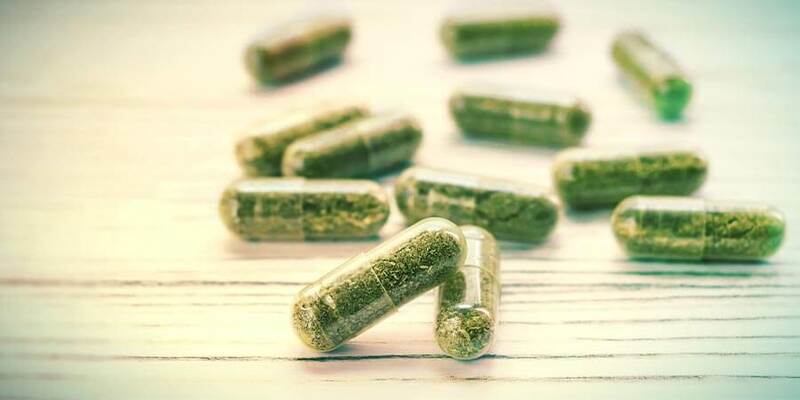 Making magic mushroom capsules is an efficient and simple way to enjoy consistent and measured doses without having to weigh them out or put up with the sometimes unpalatable taste mushrooms can have. Making magic mushroom capsules can even be vegetarian-friendly, with vegetarian capsules now also widely available. There are plenty of benefits to making capsules. The obvious ones are that you can get roughly the exact same dose each time and you can manage your consumption a lot easier. Mushrooms should take effect faster when consumed in powdered form and there's also no taste factor involved. 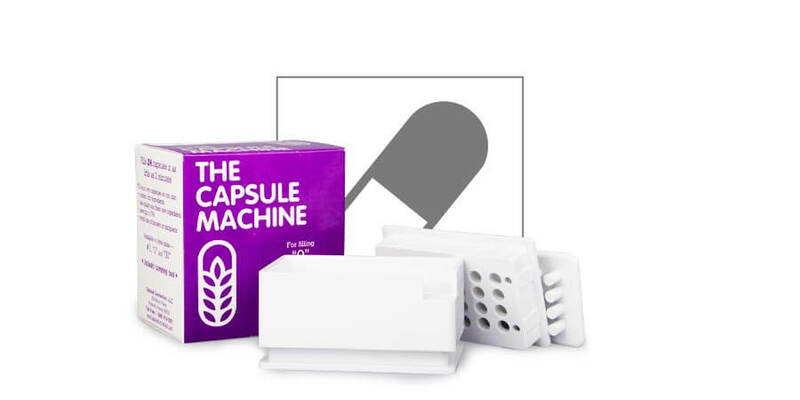 Capsules are also a much stealthier option than carrying around a bag of dried mushrooms in a dodgy plastic baggie; it gives a lot more flexibility when it comes to storage and administation when out and about. WHICH STRAINS SHOULD I CHOOSE FOR MICRODOSING SHROOMS? When it comes to shrooms, strain isn’t too important so long as the active ingredient is psilocybin. Different strains can contain different concentrations of psilocybin, so when you get a new batch you’ll generally have to do some trial and error before you get the dosage exactly right. We would recommend the B+ strain for making capsules as it is easy to grow and produces consistent yields. They are one of our most popular, and produce multiple flushes of top-shelf mushrooms! Some prefer to microdose with psilocybin truffles instead of magic mushrooms. Truffles come from the same organisms, but are made up of hardened strands of mycelium which never grew out. The fungus uses them as a food reserve, saving them for when conditions become amenable to a growth spurt. The effects of truffles are by and large the same as those of magic mushrooms, but truffles do carry one advantage: in many regions, they haven’t been prohibited to the extent of mushroom fruits. Zamnesia carries several varieties of truffles. The main thing to watch out for in truffles is dosage. Truffles tend to be labelled for potency, and with microdosing you’ll want to start off with “mild” or “moderate”. 0.7-1 grams is a good starter dose. 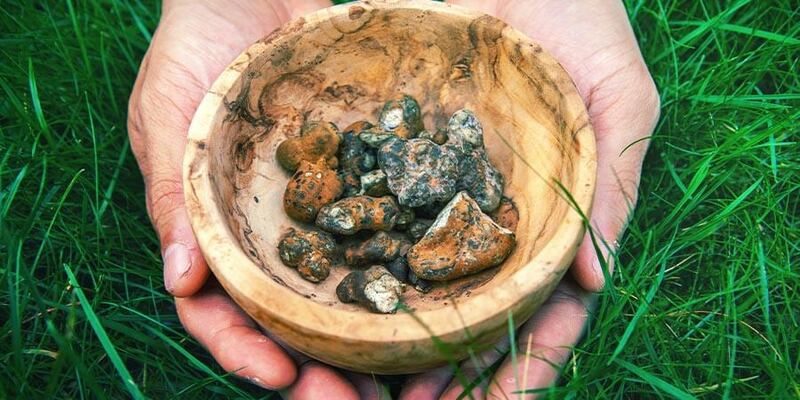 More and more, the modern microdoser is choosing magic truffles over magic mushrooms. Truffles have several advantages over shrooms: they tend to be more homogenous, and thus easier to dose, which is crucially important when it comes to microdosing. Further, the laws around them are often laxer. 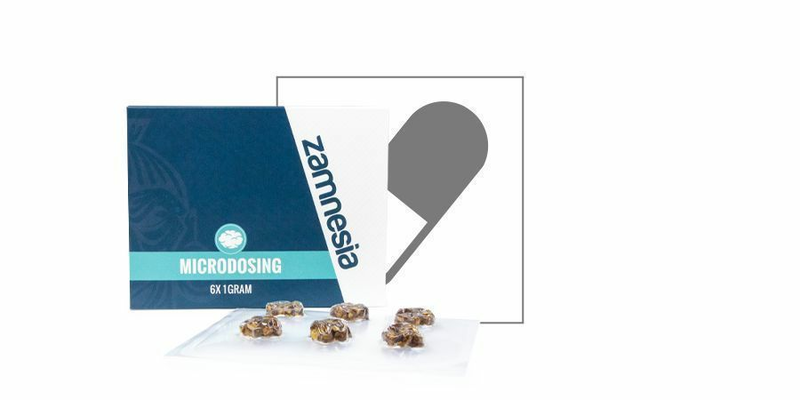 Here at Zamnesia, we’re offering a new magic truffle package that includes 6 doses of 1 gram—which should last you for much more than 6 microdose sessions. This is a great opportunity for beginners looking for an easy and effective way to get into microdosing. When you hear about microdosing, cannabis probably isn’t the first substance that comes to mind. That being said, THC-rich cannabis does have psychoactive properties, and for many, it’s a microdosing favourite. Cannabis is actually well-suited to microdosing. It follows a biphasic effects pattern, meaning that at small doses it can have entirely different effects than at high doses. Unlike substances like LSD, microdosing cannabis can be quite complicated. With LSD, there is one major compound interacting with the body, but cannabis has multiple cannabinoids that all play a vital role in shaping the effects on the body and mind. To make things even more complicated, different strains of cannabis have different ratios of cannabinoids, which can vary even more depending on how well they are grown. There is also personal tolerance to cannabinoids that needs to be taken into account. As such, microdosing has to be assessed on a case by case basis. Cannabis works by activating the endocannabinoid system—a system responsible for maintaining internal homeostasis of the body. When we take high doses of cannabis, we risk throwing this system far outside of its normal range of action. 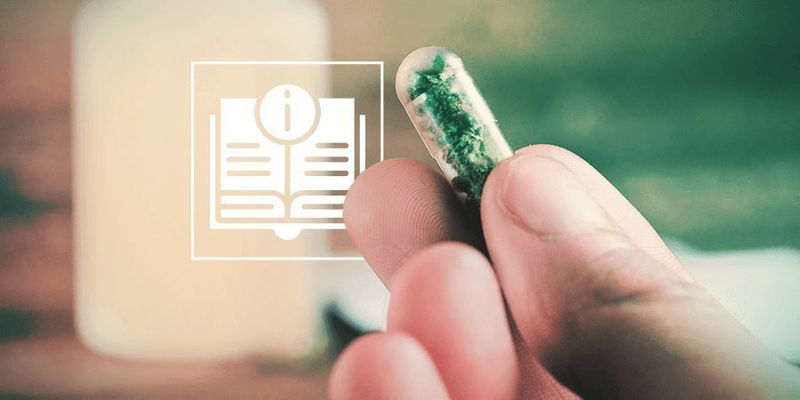 With a microdose, however, we keep the system within its normal patterns, but provide a slight enhancement—it still works normally, but receives a small boost which can help reduce inflammation and keep the brain working optimally. Medical users looking to treat anxiety, ADHD, chronic pain, depression, and poor quality of sleep may benefit from cannabis microdosing. Some conditions are more effectively treated with a microdose than a full dose. Many users, for example, report that while a full dose can worsen their anxiety, a cannabis microdose can alleviate it. 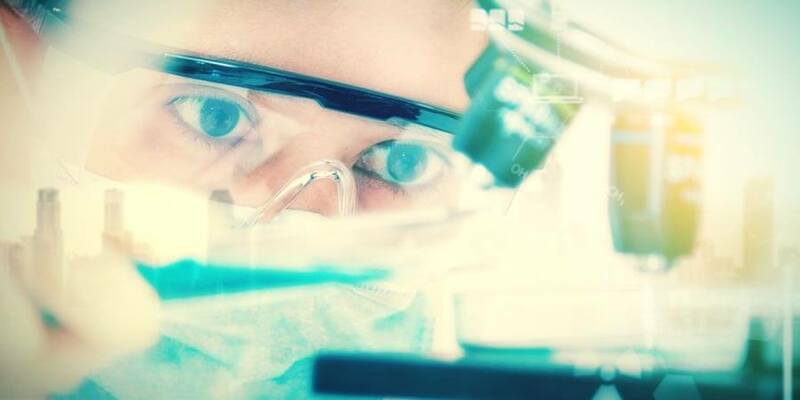 One 2012 study looked at chemotherapy patients using cannabis to treat their pain. They found that those using low doses actually experienced more pain relief than those on high doses. Another study found that microdosing cannabis was effective at reversing age-related memory loss in elderly mice. Microdosing cannabis can also be effective for those merely looking to add something extra to their day. Many users report that while a high dose can leave them couch-locked, a microdose can get them energised, giving them the kick they need for a creative, productive, and joyful day. Athletes sometimes also microdose with cannabis, as the improved endurance and reduced inflammation can help level-up their performance. Cannabis microdoses fall in the range of 2.5–10mg THC. THC levels can vary widely by strain, with some buds having concentrations of 1%, and others having concentrations of 30%. If you know the THC concentration of your bud, you can insert the figure into a dosage calculator to determine a proper dose. Generally, 1-2 puffs of a high-quality strain to start the day will do the trick, followed by 1-2 puffs in the evening. However, the main factor is to start small and experiment with delivery methods to see what suits you. You may find a drop from a tincture suits you better than smoking, or that vaporizing beats both; maybe the sustained effects of cannabis edibles will work better for you in the long run. An inhaled cannabis microdose will be strongest within an hour or two, but residual effects may be felt throughout the day. With edibles, THC can stay active in the system for up to 11 hours. These numbers can vary based on body mass (a higher body mass will mean longer duration of the high). As always with cannabis, strain is key. If you’re looking to use microdosing to get energised and productive, a sativa is the way to go. If, on the other hand, you want to relax in the evening and get to sleep, go for an indica. Medical users will want to pay attention to CBD levels as well. As with all microdosing, it’s wise to start low and increase from there. HOW TO CONSUME A CANNABIS MICRODOSE? As with regular cannabis dosing, there are three main ways to consume a cannabis microdose: smoking, vaping, and edibles. Smoking is often the easiest way to consume cannabis, but when it comes from microdosing, it’s not ideal: microdosing benefits from precision, and with smoking, this can be hard to come by. Vaping is a step up in this regard, and also allows you to bypass the unhealthy chemicals produced by combustion. When it comes to microdosing, however, edibles are a favourite: they’re easier to dose precisely, they last all day, and they’re more discreet. Additionally, some companies are now marketing edibles that are optimised for microdosing: mints and candies, for instance. Check out these recipes to make your own microdosing edibles. 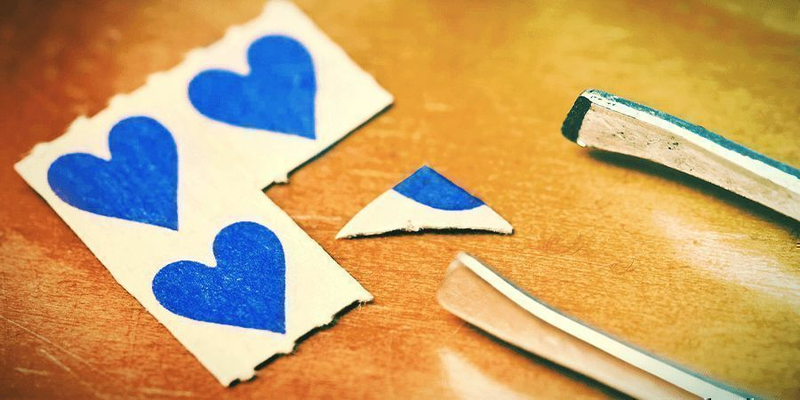 When it comes to microdosing, LSD is king. LSD is well-suited to microdosing: it’s energising, cerebral, easy to measure out, and free from side effects. Other drugs have their benefits, but microdosing began with acid, and acid remains on top. The cognitive and subjective effects of acid are similar to those of psilocybin. If you compare the fMRIs of someone on acid and someone on mushrooms, you’ll mostly find similarities, with a few subtle differences. The above explanation on neurological effects of psilocybin can be applied to acid. The subjective effects are also extremely similar: most people would have trouble distinguishing them, especially at the microdose level. Still, differences exist. Many users find acid to be more cerebral and mushrooms more emotional. This suggests that acid is a better choice for a productive workday, while mushrooms might be better for socialising and soul-searching. There’s a reason acid’s become the champion of the Silicon Valley microdosing crowd. Users report heightened creativity, increased energy, deeper insight, and improved ability to enter flow states. Some claim that acid increases their intelligence. Microdosing acid may even be effective at treating anxiety, depression, addiction, obsessive-compulsive disorder, and chronic fatigue. It’s been found to be especially useful at treating migraines and cluster headaches. One study looked at message board forums and found that many sufferers reported great success in treating these conditions with acid microdosing. Acid lasts for 12–15 hours in total. It’s important to plan for this; if you microdose too late in the day, you could find yourself unable to fall asleep at night. For many, however, the long length of the trip is a plus: you get to experience the benefits of microdosing from first thing in the morning until late at night. The long length of LSD points to one neurological difference between it and psilocybin. When acid binds to serotonin receptors, it causes them to “fold over”, trapping the LSD inside until it “pops off” many hours later. Acid microdoses typically range from 5–20µg. Here, especially, we recommend starting low. If you take too much, you may start tripping, and your whole workday could be shot. If your LSD is on blotter paper, use an X-acto knife to cut your tab into microdose-sized pieces. If, for example, you have a 100mg tab, you can divide it into a 3x3 grid of smaller tabs to produce 11µg microdoses. You can cut one of these in half for your first dose if you’d like to play it wise and start with a 5.5µg dose. HOW TO CONSUME AN LSD MICRODOSE? 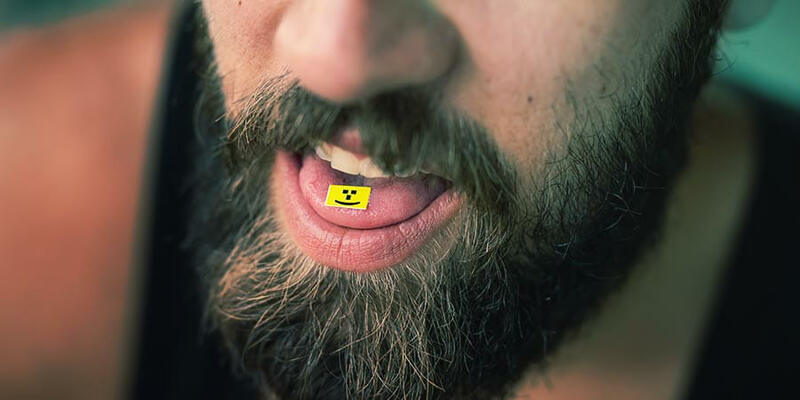 If you’re using blotter, place the tiny square of paper under your tongue. It’ll likely dissolve in your mouth. If it doesn’t, swallow the bit of paper. If you’re using a tincture, drop the appropriate number of drops under your tongue. You may need to dilute your tincture to get microdose-appropriate drop-sizes. The acid will kick in 30 minutes to an hour after you consume your dose. With a microdose, the effects should be very subtle—if you’re experiencing visual disturbances, you may have taken too much. Fear not—you’ll still have an enjoyable and meaningful day, even if you don’t manage to get much work done. For those looking to return to some good old-fashioned 19th century psychedelics, microdosing mescaline is the way to go. Mescaline has been used in ceremonial practice by Native Americans, and is still celebrated for its medicinal properties. Some traditional healers prescribe small doses of mescaline as a cure-all for virtually any malady. 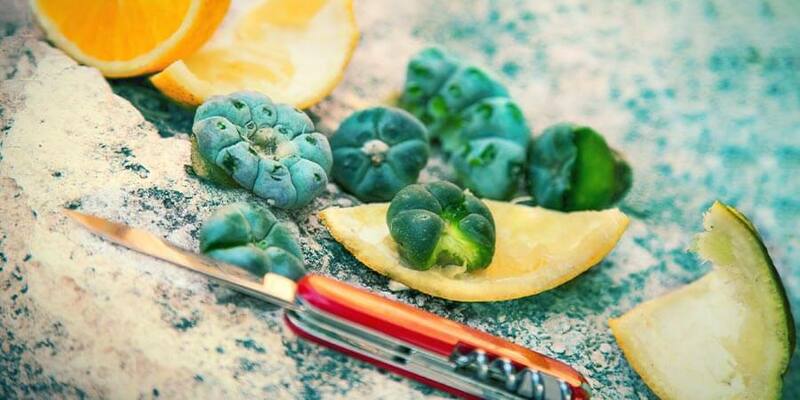 Mescaline is the active ingredient in several species of cacti, including peyote, Peruvian torch, and San Pedro. Unlike psilocybin, mescaline is a phenethylamine, not a tryptamine. Still, its main mechanism of action is through the 5-HT2A receptor system, so its effects will be similar. Many users report that mescaline is more stimulating than mushrooms or acid. As such, it might be a good choice for when you have a physically demanding activity to perform, like hiking or playing sports. Mescaline is also noted for its empathogenic properties, and is likely well-suited to social settings. Mescaline may produce a more pronounced hangover effect than psilocybin and LSD. The first time you microdose mescaline, avoid timing it on the day before a big deadline. These days, mescaline isn’t as popular as psilocybin and acid, but some users prize it above the other two. Many report that its effects are more clear and reliable than its psychedelic cousins. Fadiman’s 1966 study found many productivity benefits to microdosing with mescaline, and self-reports from mescaline microdosers bear this out. In general, 1–2mg of mescaline is roughly equivalent to one microgram of acid. A usual mescaline microdose is 10–40mg, though some users go as high as 50mg. As always, the wise microdoser starts low, and moves up from there. Mescaline microdoses typically last about 12 hours. When microdosing with mescaline, it’s important to avoid MAOI inhibitors present in certain antidepressants and in high-tyramine foods like cured cheeses/meats, fermented foods, and beer. Some users report that mescaline does not mix well with cannabis. Mescaline can also cause vasodilation, and should be avoided by those with heart problems or on blood pressure medication. HOW TO CONSUME A MESCALINE MICRODOSE? Method of consumption in mescaline will vary quite a bit depending on the form of your mescaline. If you have pure mescaline, a good dose is 10mg. If you have a mescaline salt like mescaline hydrochloride or mescaline sulfate, 11.7mg and 13.2mg, respectively are good starter microdoses. You can consume pure mescaline or mescaline salts by putting them in fruit juice and drinking them down. You can also pack them in capsules or “bomb” them—that is, wrap them in paper and swallow them down. If you have dried peyote, Peruvian torch, or San Pedro, 0.9 grams, 1.25 grams, and 3.3–10 grams are good starter doses, respectively. The dried cactus should be grinded or crushed down into a fine powder, and then mixed with fruit juice or swallowed in capsules. If you get your hands on fresh peyote, Peruvian torch, or San Pedro, 10–30 grams, 20 grams, and 10–20 grams are appropriate respective microdoses. 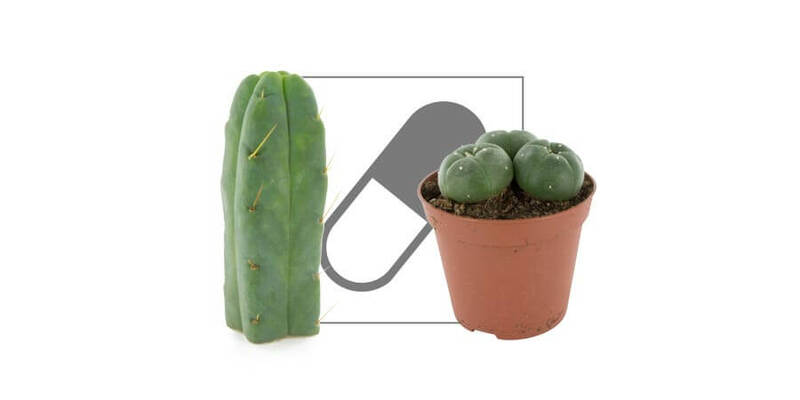 Some users favour the fresh cactus as it’s said to contain an ideal balance of alkaloids. You can microdose this way by chewing on the raw cactus. Don’t throw away the dark outer layer however, as it contains a high concentration of mescaline (make sure to remove the spines). For a more appealing preparation, you may want to brew some mescaline tea or prepare mescaline resin. To do so, remove the spines of the mescaline plant and pulp it in a blender. Put the pulp in a crock pot with water and lemon juice and let stew for 6–12 hours. Remove, and filter out the pulp with coffee filters. You can use the remaining liquid as tea, or evaporate the water to produce a resin. People microdose for many reasons: to treat health issues, enhance their workflow, and experiment with the boundaries of consciousness. Whatever your motivations, microdosing is sure to teach you new things about yourself, and may even help you undergo some breakthroughs. Be safe, and good luck!